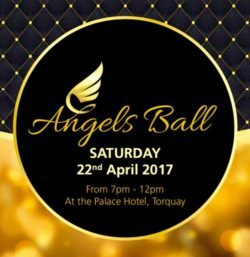 The Angels Ball will be taking place on the 22nd April 2017 from 7 pm until midnight at The Palace Hotel in Torquay. The event is being hosted by the Rotary Club of Babbacombe and St Marychurch and we are overwhelmed by their support and commitment to bringing this event to you all. So a massive thank you to the Sputnik Team for making this a reality. Tickets can be purchased for £40 from www.angelsball.co.uk. The Angels Ball will be raising money for us but also for another amazing charity Children and Families in Grief, they support children and families that have lost a loved one and help them through the grieving process through group and individual counselling and therapy. We are honoured to be working in partnership with them. The Angels Ball will be a celebration and a happy occasion, it is a full black tie event with welcome drink, three-course meal, silent auction, magician and live music and we cannot wait to see you all there. Once again a huge thank you to the Sputnik Team you are awesome!! !